Splurge on the super-fancy one with access to a semi-private plunge pool. Leave the blinds wide open - the glittering skyline views get even better at night. Make a quick stop somewhere between spa and pool visits. 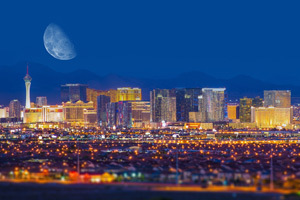 Take in all the attractions on the strip, it's less than a 10 minute walk away. Take in the spectacular view of the Strip from the rooftop pool. Enjoy a cocktail or appetizer at the poolside bar. Unwind with a signature European heat experience, facial or massage at ESPA. Rotate 550 feet in the air on the High Roller ferris wheel, just one mile away. It's a quick walk to Planet Hollywood's famous shows and casinos, you'll never run out of activites for both adults and kids. Perched above the grand entrance on Harmon Circle, you’ll find the spectacular, over-the-top Vdara Hotel & Spa rooftop pool deck – the haven of private hideaways that makes you wonder if you should be on the lookout for celebs trying to go incognito. Select from a menu of VIP-style poolside retreats, from cushy daybeds for two, to indulgent Escape Cabanas for four and ultra-luxe Access Cabanas for eight – all with varying combos of refreshing Smart Water, Zico Coconut Waters, fresh fruit platters and even access to a semi-private plunge pool. Handcrafted cocktail service and casual menu items are headed your way with a wave of your hand and a few discreet words with your server. In true Vdara style, the fitness center doesn’t stop with the cardio-and-weights basics. Choose from Pilates or yoga classes as well. Got a big night out later? Get extra-glam at the salon. Save a day (or three) to hit up the first ESPA-branded spa in Vegas, and start with the signature European heat experience, then move on to the On the Rocks or Detoxifier treatments, depending on your level of revelry the previous night. (Be thee warned: you’ll want to stock up on the global brand’s award-winning face and body products, your soon-to-be all-time favorites.) The Market Cafe tempts with fresh, easy grab-and-go, while the can’t-miss-it Vice Versa Patio & Lounge in the lobby morphs from stylish daytime lunch spot to hip late-night lounge. Nab a table outside near the water feature and fire pits if you can. Been there, tried that? Then move on to sample the eats from world-renowned chefs and restauranteurs at sister property ARIA. Soak up whatever stunning combination of city/mountain/Bellagio fountain views you’re lucky enough to score from the windows of your spacious studio or one-bedroom suite (from 582 to 811 square feet!). Posh linens and a large spa-style soaking tub may inspire you to up your game at home. Sleep in late, dreaming of a million different ways you could spend your possible winnings (it could happen). Kitchenettes keep your favorite beverages cold and snacks handy for spur-of-the-moment happy hours. And the living/dining area gives you a breather from the casino and club crowds – (Vegas gets over 40 million visitors a year!) Order room service, appoint a dealer from your crew and brush up on your Blackjack before heading back down to play for real. The concierge desk is your inside track on all things “best of” Vegas, from burgers and donuts to jewelers and art collections. Don’t be shy about asking for help with ticketing and reservations. Just name your category – golf, shopping, helicopter tours, live shows, stand-up comedy, state parks, adventure sports – the list goes on and on (practically indefinitely!). - The credit or debit card used to place the reservation will be required upon arrival to register. It will be used to cover applicable charges for room, tax, and resort fees, as well as an incidental amount per day to allow access to room charging privileges. Additional authorizations may be placed should the guest's charges exceed the originally approved amount. For debit cards, unused funds are released upon check-out and made available after up to 7 days for domestic banks and up to 30 days for international banks. For details, please contact the office using the contact information found on the confirmation received after booking.